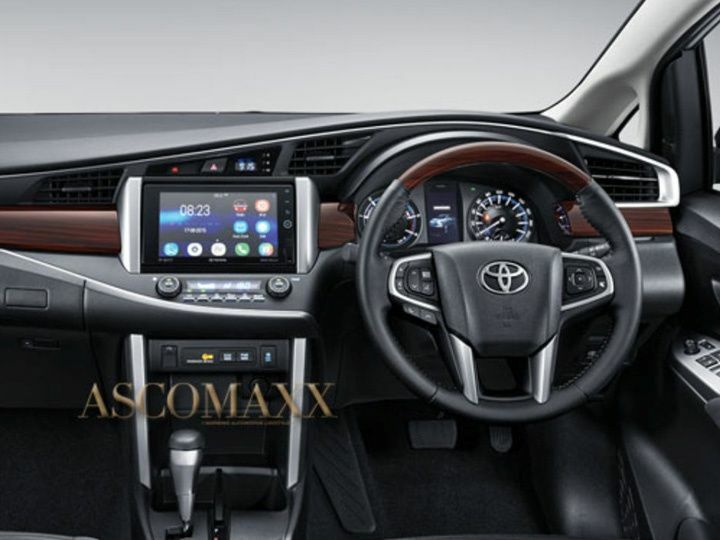 Just ahead of its official reveal, images of the upcoming vehicle leaked online from sources in Indonesia, where it will be called the Toyota Innova Crysta, showing off its interior and revealing engine options. As we’ve widely speculated, the 2016 Innova Crysta will feature a new design both inside out, as well as both petrol and diesel powertrain options, although only the diesel is expected to make its way to our shores. The new Innova Crysta is 4,735 mm in length, 1,830 mm in width and 1,795 mm in height, with a wheelbase of 2,750 mm. 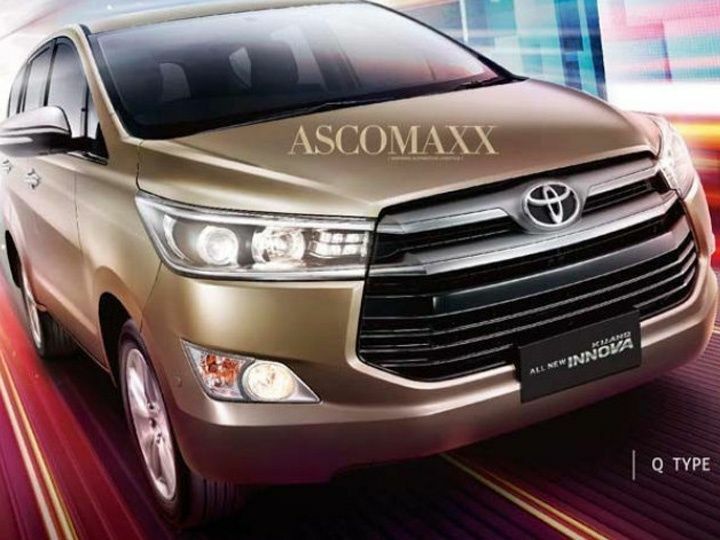 Externally, it gets a redesigned hexagonal grille, swept back headlamps with projector and LED daytime elements, angular fog lights, a familiar profile with new greenhouse shape and a completely new rear fascia with wraparound tail lamps and chrome inserts. Three variants will be on offer, a base G model, V (mid-model), and the range-topping Q model. All three will come with a choice of 5-speed manual or 6-speed automatic transmissions. The base G model Innova will come with 16-inch alloy wheels, rake-and-reach adjustable steering, a 7-inch entertainment system with voice commands and Bluetooth connectivity, three airbags as standard, as well as Isofix points. It also arrives with a Driving Mode Selector that allows drivers to switch between Eco and Power modes – the latter of which is available in all three variants. The G and V variants will also get dual-coloured dashboards with silver accents on the inside, while the top-end Q model comes with a more upmarket wood finish. Stepping up, the V variant adds automatic air-conditioning with a blower for the rear passengers, ambient lighting and an infotainment system with a larger 8-inch display, internet browser, HDMI and other functions. In addition to these, the Q model will also add LED headlamps, VSC, HAC, a smart key, and automatic power windows. The 2015 Toyota Innova Crysta will come with a choice of both petrol and diesel engine options. The petrol variant will be powered by a 2.0-litre 16-valve DOHC with Dual VVT-i that churns out 139 PS of power and 184 Nm of torque. The diesel engine, on the other hand, is an all-new affair: a 2.4-litre GD series with VNT Intercooler producing 149 PS of power and 360 Nm of torque on the AT variant and 342 Nm of torque on the MT variants.